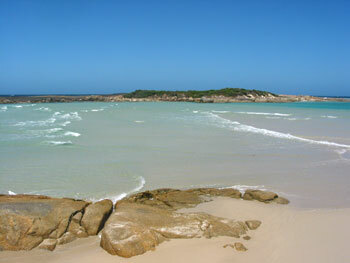 Madfish Bay and Madfish Bay Beach are beautiful locations to visit on the eastern end of William Bay National Park. 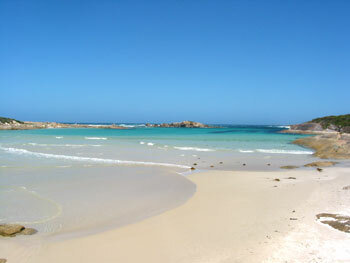 Madfish Beach is a secluded little beach surrounded by rock formations which offer a unique view over Wilson Head and the Denmark Community Windfarm. At low tide it is possible to walk directly across to the small island in Madfish Bay, but at high tide the island is completely cut off from the mainland. This island is known to house snakes, so be extremely careful if you decide to walk across to the island. 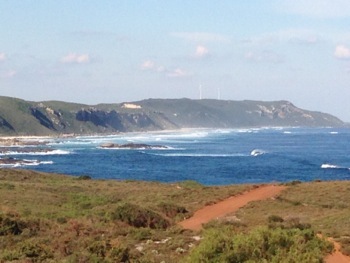 Madfish Bay is easily accessed by turning left (away from Greens Pool) and continuing along the bitumen road to the east. 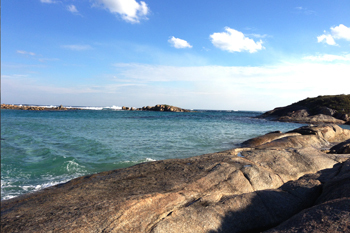 Madfish Bay and Waterfall Beach are right next to eachother. The waves at this beach come from two different directions around the island and make an incredible sight when the waves collide, especially during high-tide. 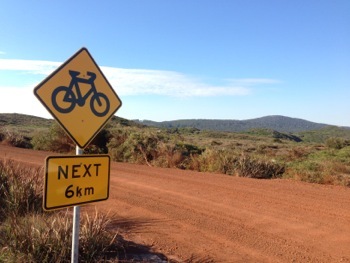 Madfish Bay is a popular destination for cyclists who cycle between Greens Pool and Madfish Bay regularly. 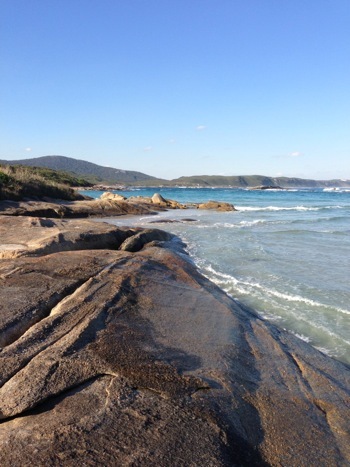 Madfish Bay is also along the Bibbulmun Track which winds across the countryside to Albany, its southern terminus. 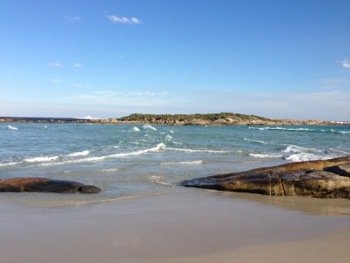 Many fish are known to inhabit the waters around Madfish Bay including whiting, bream and salmon. We could see a few schools in the shallow waters from the car park pathway. The descent from the car park is a sand and wood staircase leading directly on to the beach. 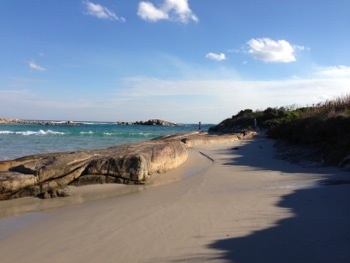 Both sides of the beach are constrained by the ancient rock formations dating back from when this part of Australia split away from Antarctica during the breakup of Gondwana, the southern supercontinent. There is one car park at Madfish Bay, and a gradual sloping staircase to descend to the beach. The Great Southern Ocean can be a few degrees colder than the other oceans, so if you intend to snorkel we recommend a wet suit.